There are good times to be had at the bar of any Nashville event, whether you’re looking for something refreshing or trying out the event’s signature cocktail. 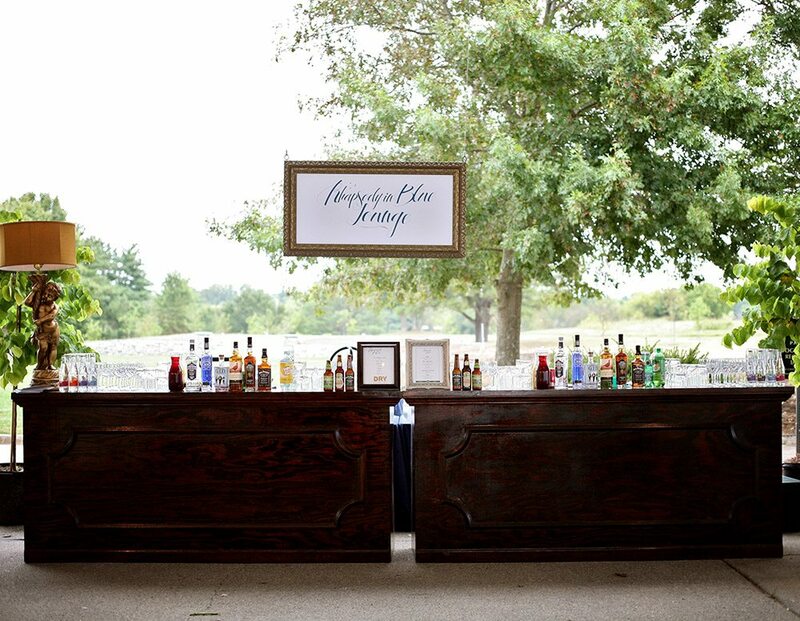 With several event bars in various sizes and designs to choose from, your Middle Tennessee event is not complete without a bar! 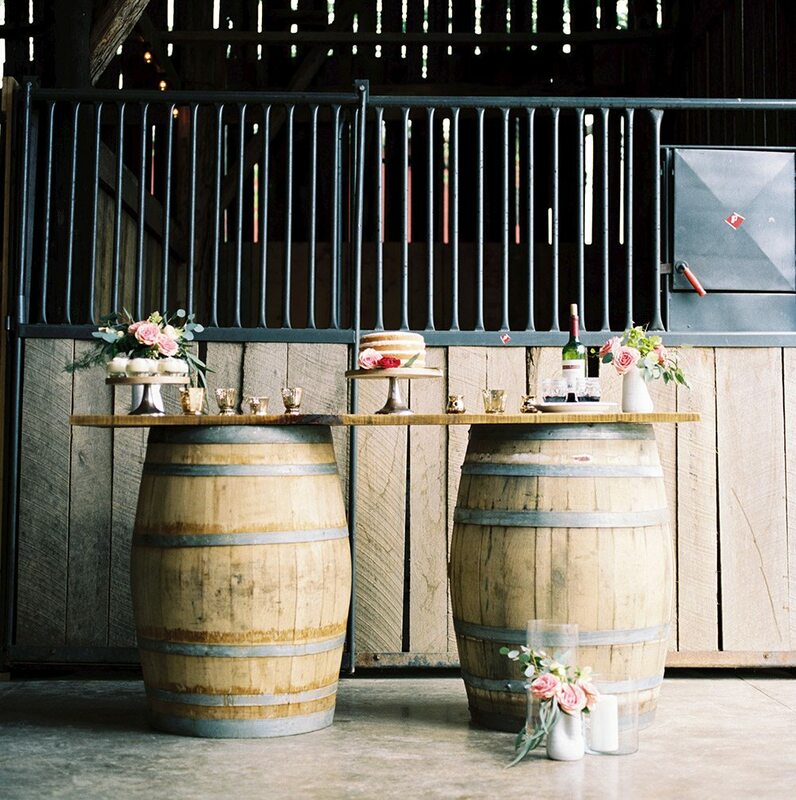 Southern has so many event bars to choose from – here are some ideas on how to incorporate them at your next wedding or event in Nashville, Tennessee. 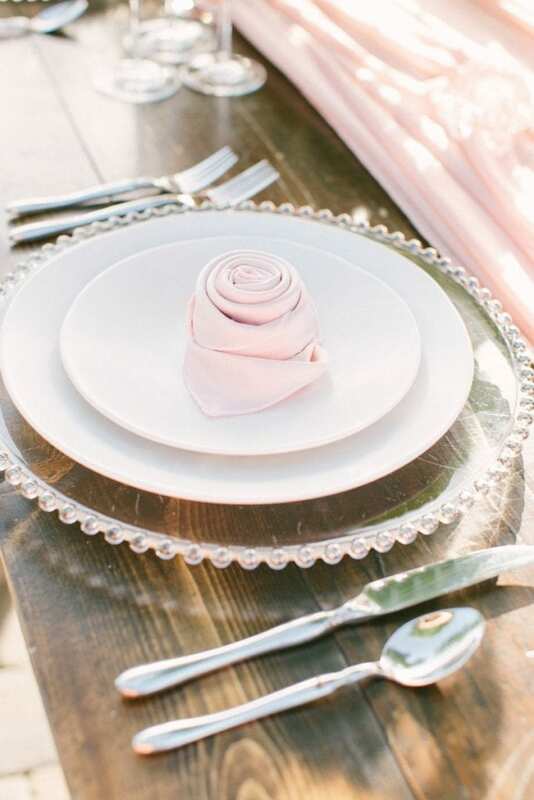 Want to chat with an event specialist about setting up your Franklin, Nashville, or Middle Tennessee event? 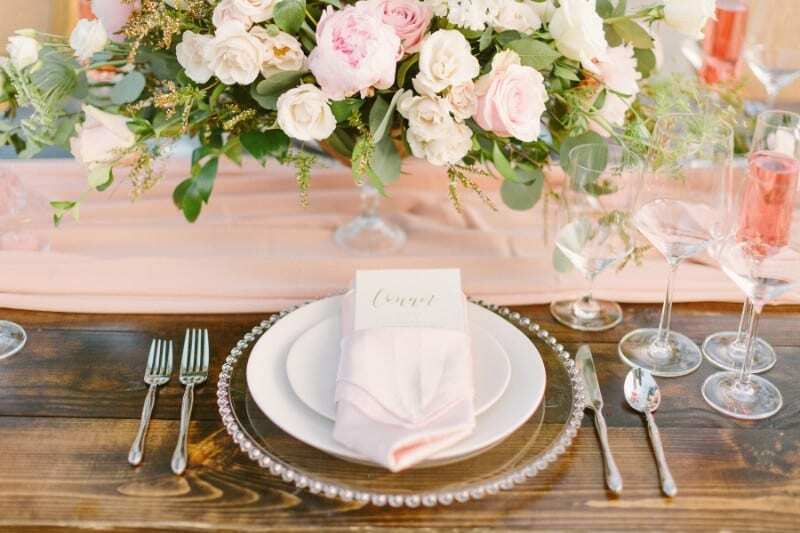 Send us a note at info@southerneventsonline.com and we’ll be so glad to help! Looking for a chic way to set up a display of beverages? Having your bar display refreshments in a buffet-style is something we love seeing at Nashville events. 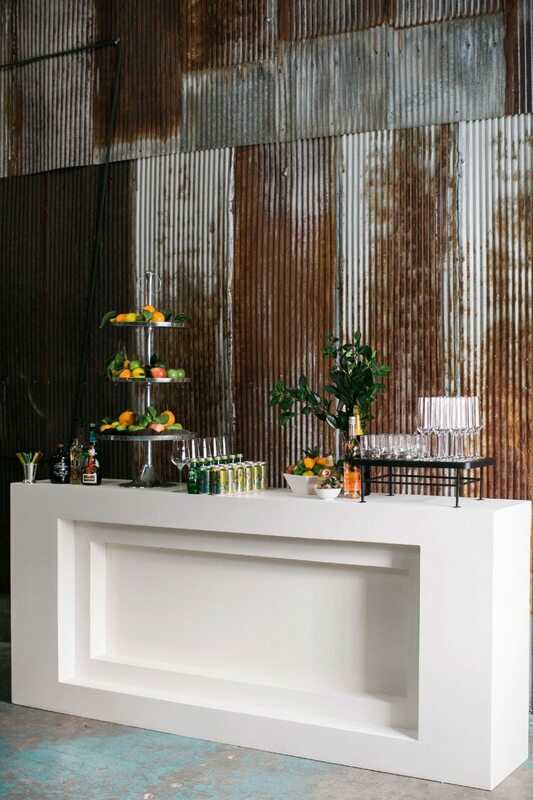 Our Harpeth Bar is the latest piece added to our catalog, with chic clean lines and stunning architecture. 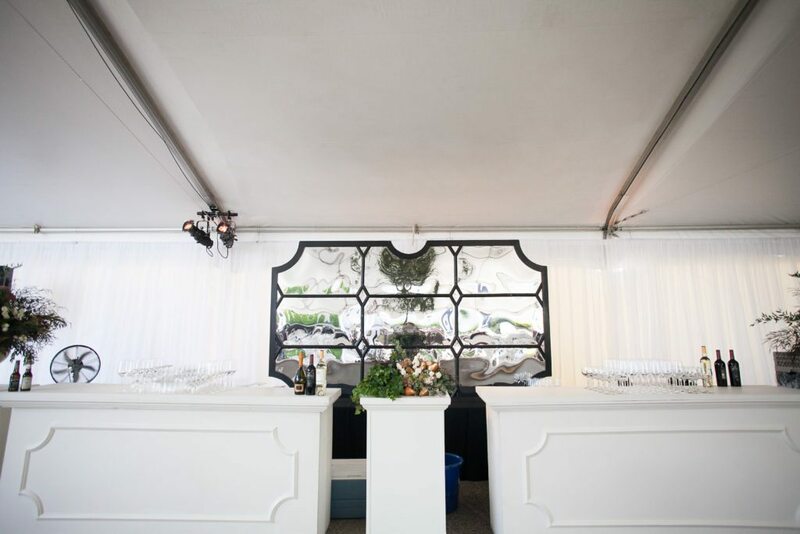 The recessed inset allows you to customize each bar to fit your event with your company logo, lite panels or floral inserts. 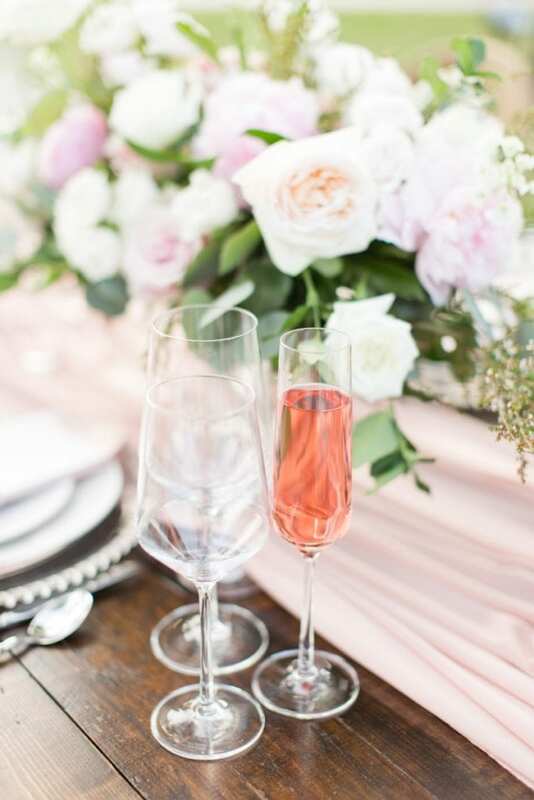 Placing our favorite Cybil Glassware alongside bottles of refreshing alcoholic and non-alcoholic options allows guests to serve themselves at smaller events. Another great option for using bars to display beverages is setting up infused water stations throughout the venue. 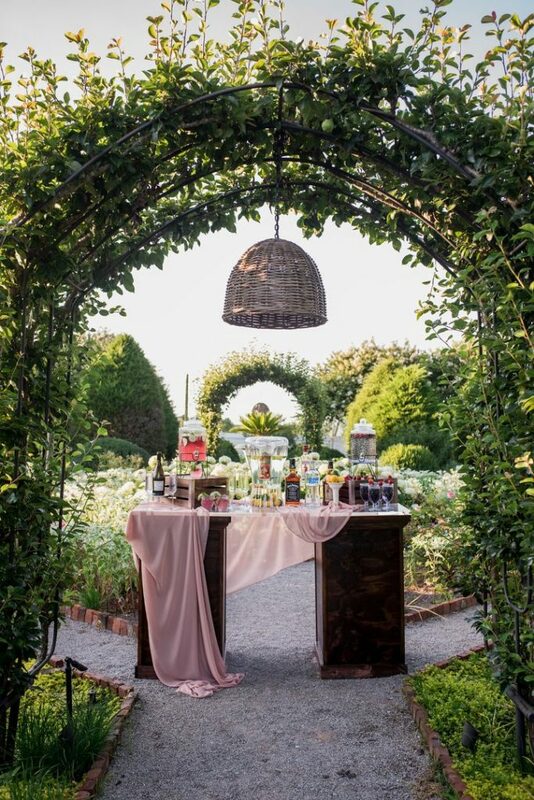 Especially if you’re having an outdoor southern gathering, you’ll want to keep your guests hydrated! Having water options somewhere other than the main bar is a great way to help people stay refreshed without dealing with long lines. 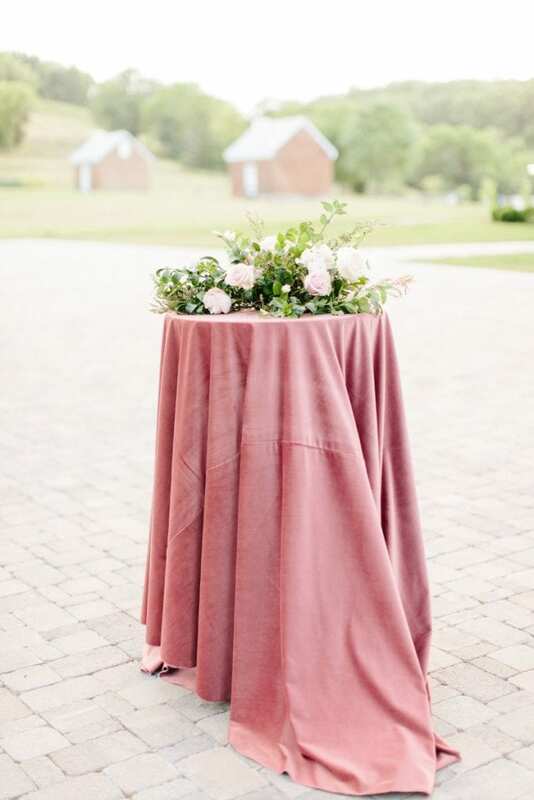 Our Acrylic Top with Fruitwood Column was gorgeous at this garden wedding styled shoot, and draped with our Bloom Chiffon Runner. Nothing says “Nashville Party” like Whiskey! Displaying fun desserts on a Whiskey Bar is a unique and fun way to incorporate southern fun with a sweet tooth. We’ve got plenty of pedestals to choose from, and our Wyatt Pedestal Cake Stands looks especially dreamy on a Whiskey Bar. 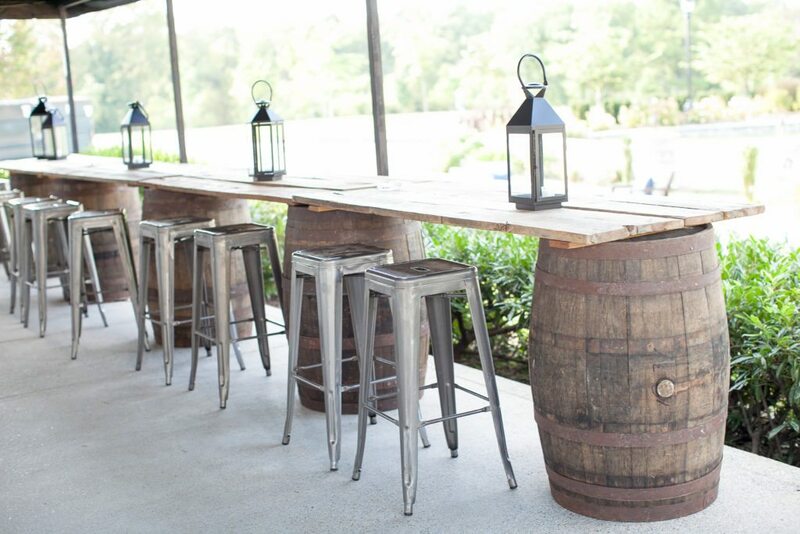 We also love setting up the Remington Bar Stools with Whiskey Barrel Bars to create extra high-top tables for the cocktail hour. 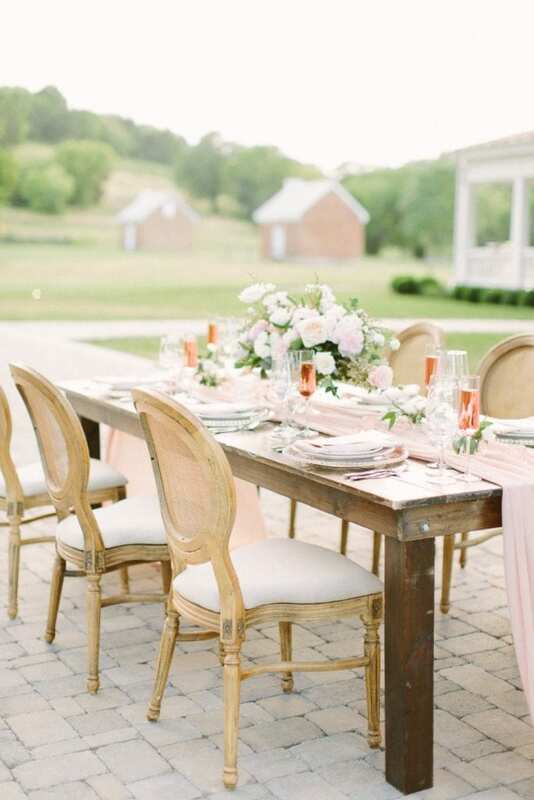 This helps maximize your Nashville event venue space while adding a rustic touch. Add a lantern or two on top to create the design you desire – we’ve got plenty to choose from! If you’ve got lots of guests to care for, you’ll need multiple bars. 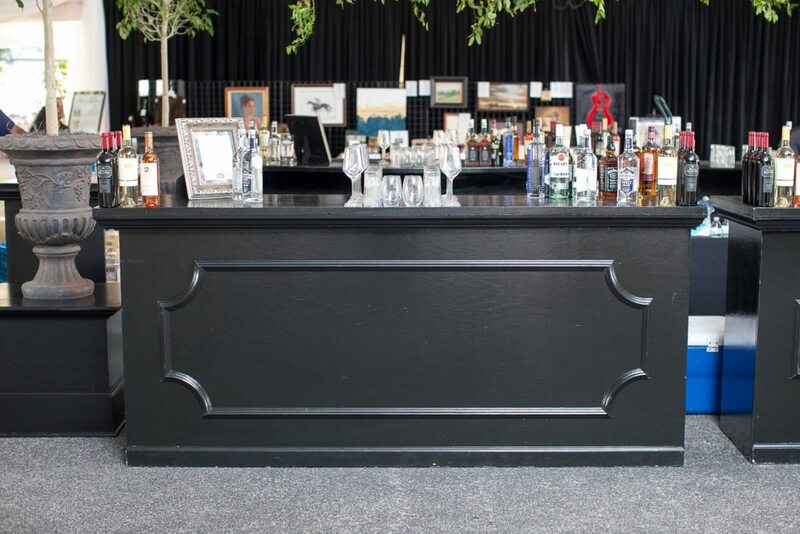 Our Franklin Bars are perfect for the job – with 4ft and 8ft long bars with wood columns to match, you can easily mix and match to create the design and flow your event needs. 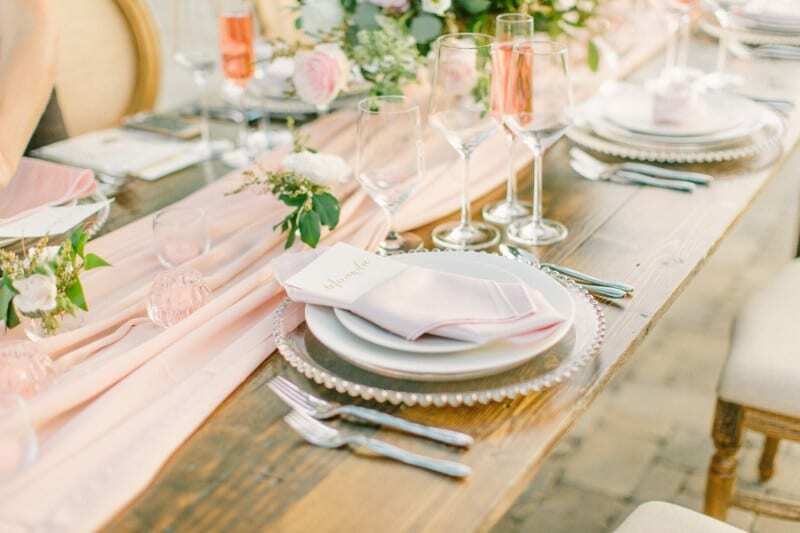 And with their traditional, upscale look in a variety of finishes, the Franklin Bars are perfect for all your corporate, nonprofit, or traditional wedding needs. 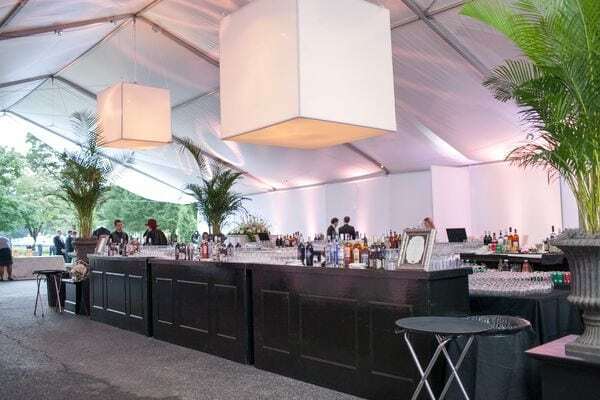 Some of our favorite bar setups include two bars with a matching column in the middle, two or three bars side to side, or two bars creating an “L” shape at the corner of your venue – the perfect solution to long lines! With options in Antique White, Blackwood, Grayson, and Fruitwood you’re sure to find a Franklin Bar that fits. Setting up stations around your event is a great way to keep crowds happy and hydrated. 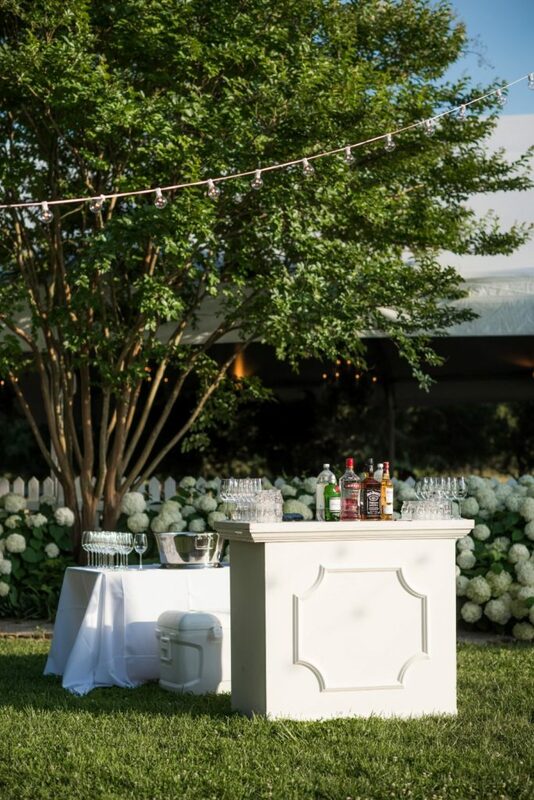 Adding minibars along the perimeter of the dance floor or just outside the cocktail area makes sure all guests can find something to sip on. 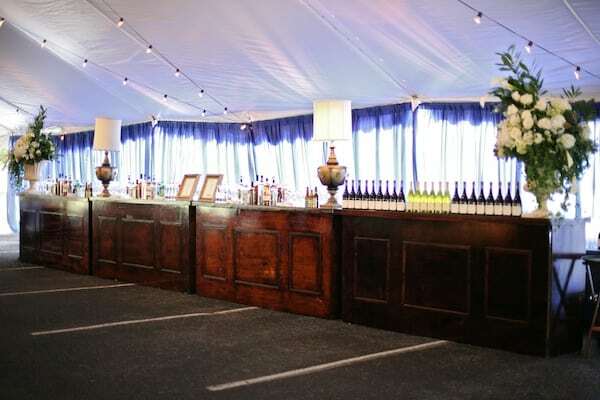 Have these be a “beer only” or “non-alcoholic beverages only” bar, or display Our Franklin 4ft Bars look amazing at weddings, social events, fundraisers, non-profit events and corporate events in the Nashville and Middle Tennessee area! 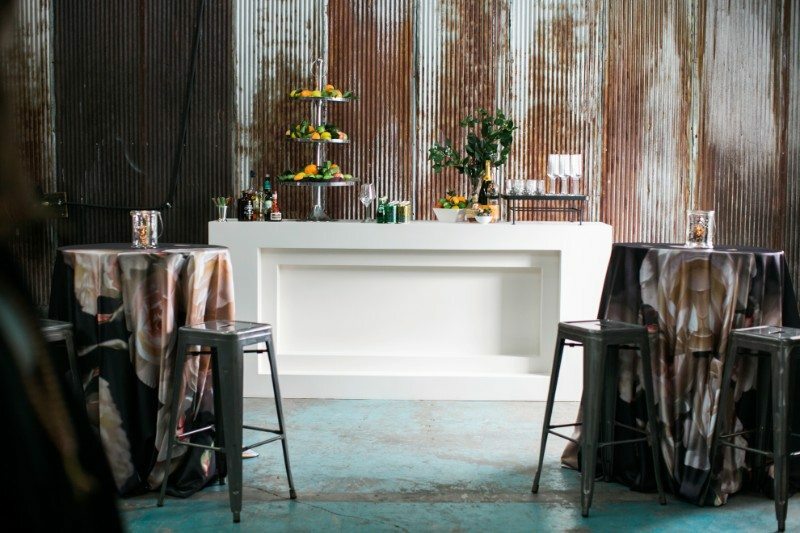 Set the scene with rustic specialty bar, like the Bond 6ft Bar made of rustic refurbished wood. 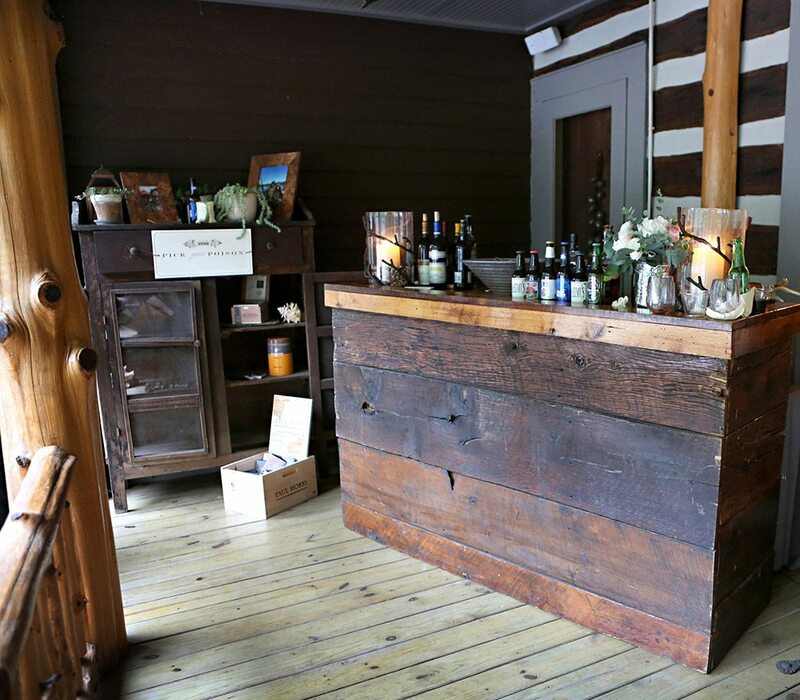 This one-of-a-kind bar is a great way to add character to your event. 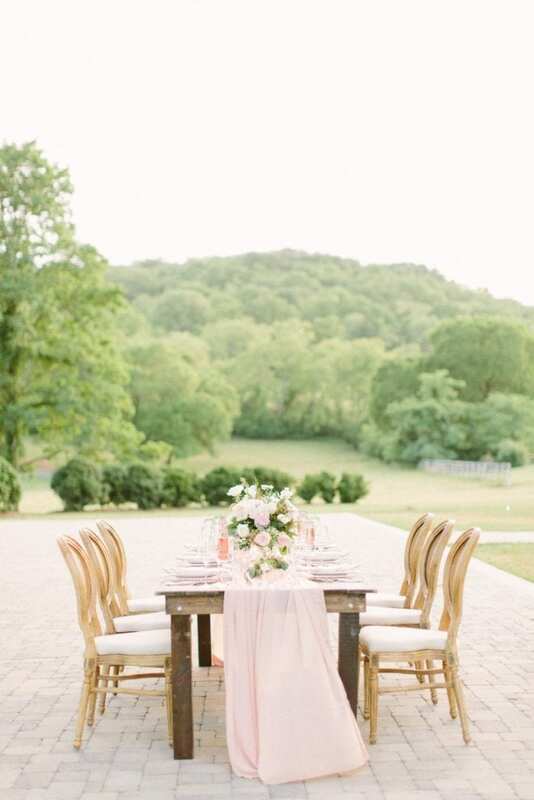 Looking to create even more character at your Nashville event? 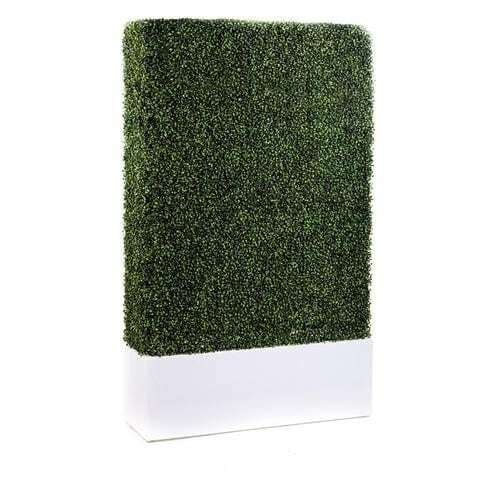 The Boxwood Walls are a great way to add foliage to your party, creating walls where there aren’t any. 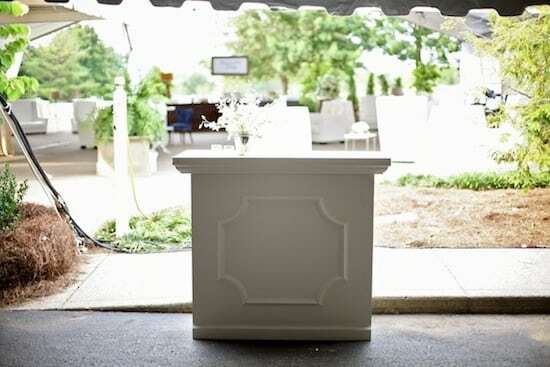 Use it to add a background to your middle-of-the-room bar – your guests will love the greenery!